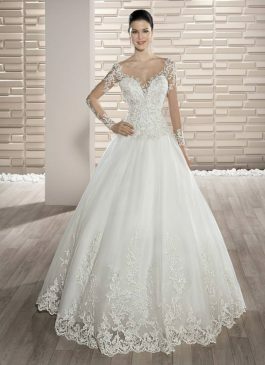 Choose a wedding gown that offers the perfect fusion of tradition and modernity with our artfully crafted long sleeve wedding dresses. 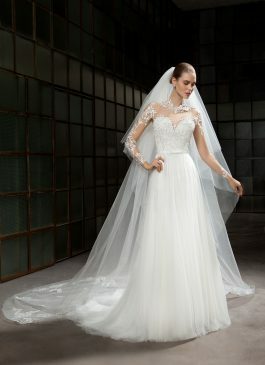 Our stunning collection of long sleeve wedding dress can add a splash of elegance to your bridal theme. Simple yet appealing, our selection includes long sleeve wedding dresses in fine fabrics. 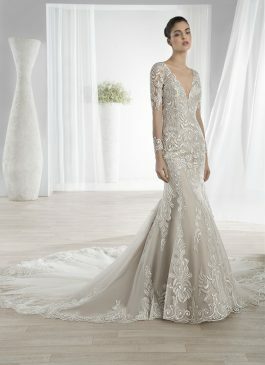 Designed in rich fabrics like tulle, lace and beading, our wedding gowns make a unique and distinct style statement. 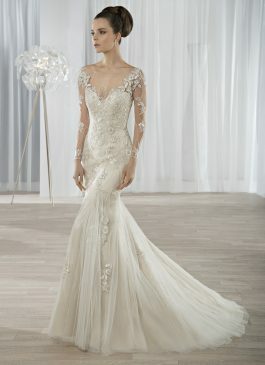 You can choose from an array of styles to pick a gown that truly reflects your individuality. The long sleeves perfectly complement all styles and reflect a creative and modest look. 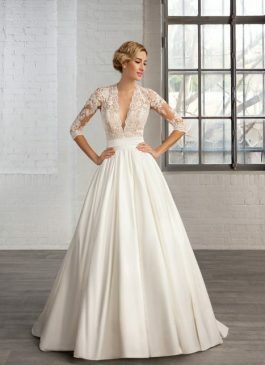 With gorgeous laces, you can further add a lavish look to your long sleeve gowns. With delicately embellished sleeves, you can boast the perfect sophisticated look. 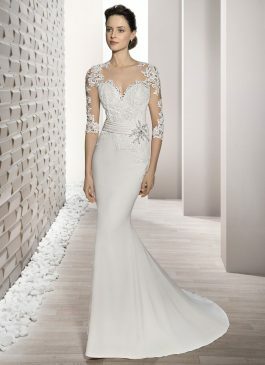 If you are planning for an autumn or winter wedding, sleeved wedding dresses are a great option. 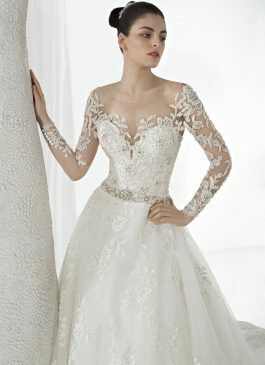 Available in a gorgeous range of styles, we have sleeves to suit the preference of every bride. 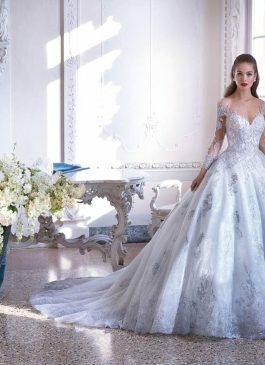 From beautifully embroidered sleeves in floral designs to those adorned with beads and crystals, there are stunning options to choose from. 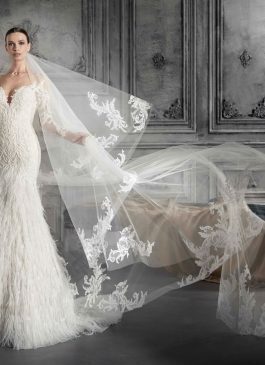 At The Sposa Group, we understand that every bride has a vision for her dream wedding gown. 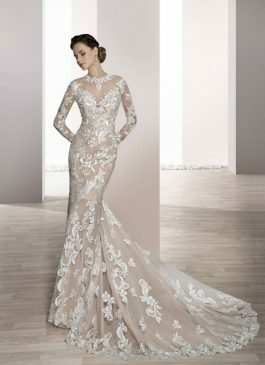 It is our endeavour to create for you the gown of your dreams. Our collection is designed to perfectly match your personality and accentuate your beauty. Our Sydney boutique features some of the world’s leading luxury brands. 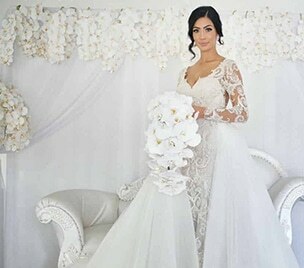 If you wish to know more about our long sleeve wedding dress, enquire to our welcoming team of girls at (02) 9560 0095 Or email us at info@thesposagroup.com.au. 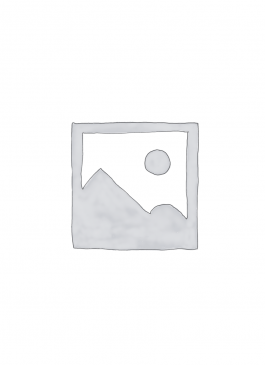 We cater to the needs of both retail and wholesale clients.